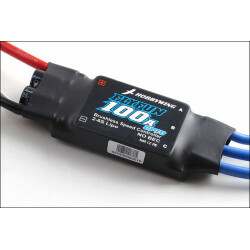 Hobbywing UBEC 8A 2-3SThe 8A-UBEC is a switch-mode DC-DC regulator works with a 2-3S Lipo battery, i..
Hobbywing 10A UBEC 2-6SThe UBEC is an external switching mode DC-DC regulator; it draws the DC volta..
Hobbywing Flyfun V4 100A OPTO (NO BEC)SpecificationOutput: Continuous 100A, Burst 120A up to 1..
Hobbywing Flyfun 100A HVSpecificationOutput: Continuous 100A, Burst 120A up to 10 seconds.Inpu..
Hobbywing Flyfun 40 Amp ESC Speed Controller (no BEC).Specification- Output: Continuo.. 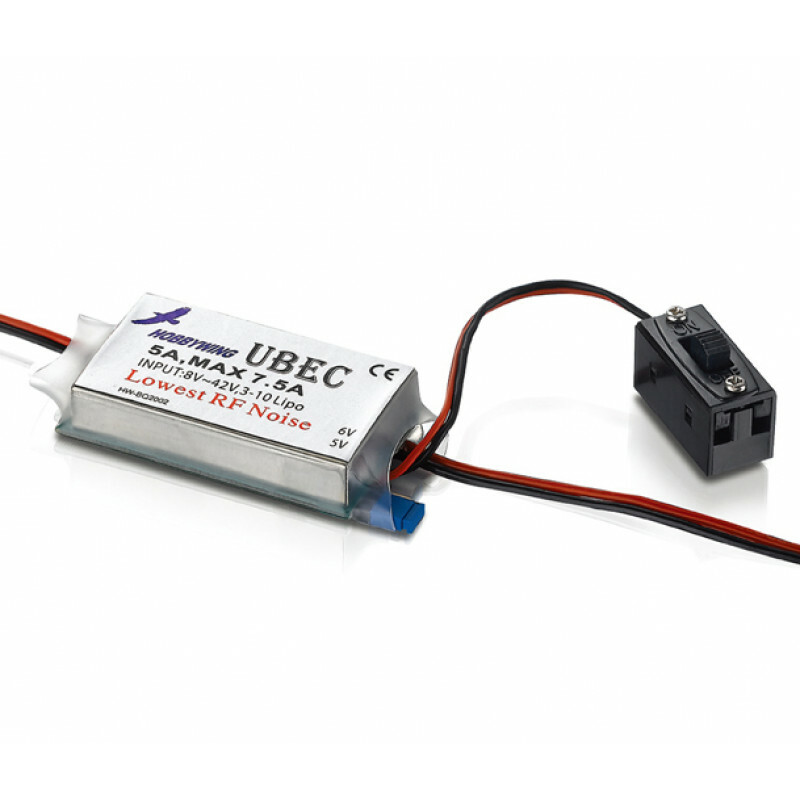 The UBEC is an external switching mode DC-DC regulator; it draws the DC voltage from 3-10S Lipo battery, drops it to a voltage level that is suitable for receivers and other electronic devices, and keep providing the stable current output up to 5Amp. As the UBEC has such a powerful output capability, so it is particularly applicable for large helicopters and fixed-wing aircraft that use 7S or above Lipos. Why do you need a high voltage UBEC? electric RC models such as fixed-wing aircraft and helicopters which use more than 4 cells lithium battery. Using this UBEC, the receiver can obtain the power supply directly from the main battery pack, so the additional battery pack for receiver is unnecessary. A UBEC can significantly reduce the heat emission, it can also avoid the loss of control caused by over-heating which is frequently happens using the linear mode UBEC. You can Download the Manual for the Hobbywing 5A UBEC from our Forums. 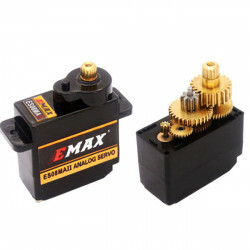 EMAX ES08MA II 12g Analog Servo Metal GearsAnalogue Servo, with METAL gears, comes suppl..